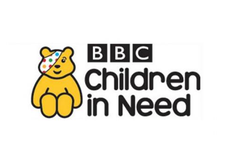 Grants of over £10,000 per project are available through the BBC Children in Need Main Grants programme to not for profit organisations and schools that work with young people who are experiencing disadvantage. The Fund is open to applications all year round, but there are a number of deadline and award dates throughout the year. The dates for 2019 are now published on the Main Grants web page with the first for 2019 being 11:59pm on the 13th January. Nottinghamshire Community Foundation administers a range of local and national funds. They support constituted grassroots community projects, local charities and not for profit CIO's and CIC's. Applicants must be based in Nottinghamshire, have all the documentation required and ensure your project covers the criteria for each fund. Grants range from £500 to £5000 and they advertise which funds are open for applications on their website – click here to see the current list and to apply. New funds are posted monthly so do keep your eye on their site. 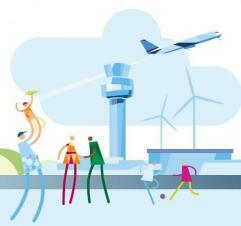 The East Midlands Airport Community Fund was established in April 2002 and since then over £900,000 has been pledged to a whole range of initiatives which aim to bring lasting benefit to the communities around the airport. The Community Fund Management Committee meets six times a year and is open to community groups within a defined area of benefit which includes areas to the south and west of Nottingham and Nottinghamshire (check the website for the area covered). Generally the maximum funding awarded is £2,000. The fund's objectives include bringing the community closer together through facilities for sport, recreation and other leisure time activities. 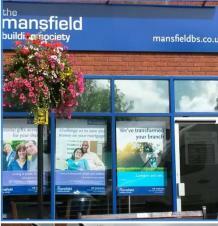 Mansfield Building Society's Community Support Scheme is designed to help a wide range of groups that do their bit to help local people. Typical awards are between £100 and £500. 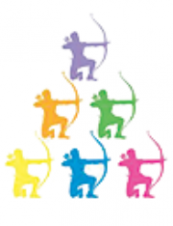 The scheme invites applications from groups within Nottinghamshire or Derbyshire (the Society has a branch in Chesterfield) that are in need of financial assistance to help with their objectives. Applications for funding are considered by a panel twice yearly in May and November. The panel considers application for assistance in a number of different categories including those which promote and encourage sporting activities. Applications not normally considered include applications from individuals, projects that promote party political activities or religious causes and commercial enterprises. It doesn't cost you a penny extra, when you shop through easyfundraising the site works like a cashback website, with the cashback being accrued for the cause / project of your choice. Register your club, group, school or PTFA with easyfundraising. Then encourage your members and supporters to use the easyfundraising website when they shop online. The shops and services give commission for their purchases and this is then turned into a donation to give to your cause. Thousands of shops and services including utilities, holiday and insurance companies are registered, so there is plenty of choice when you go shopping online. From football, rugby, cricket and tennis, to boxing, bowling, curling and rowing, the Heritage Lottery Fund has supported projects related to almost every popular sport in the UK. Projects have also centred on lesser-known traditions, such as the annual Easter game of bottle kicking played with a barrel of beer between Hallaton and Medbourne villages. The UK has a proud sporting history, from the invention of games now played all over the world to iconic sites spread across the UK. Sport is also a huge part of many people's everyday lives and plays a role in their own personal histories, as participants and followers, often with life-long loyalties. This wide appeal can inspire more people to learn about and share their heritage. As well as being an important part of history and identity across the UK, sporting themes can help our funding reach a wider range of people. 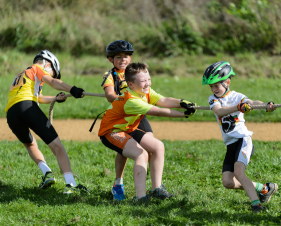 Click here to find out more about the opportunities available to sports clubs through the Heritage Lottery Fund, or phone them on 020 7591 6042 / 6044 to seek advice about your sporting heritage project idea. 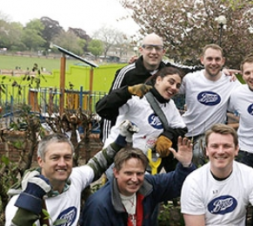 Established in 1970, the Boots Charitable Trust is an independent registered charity in the UK, wholly funded by Boots UK. To date it has donated over £10 million to charities across the county. The Trust also helps smaller voluntary organisations in Nottinghamshire which are too small to qualify for charitable status. If you are looking for support from the Boots Charitable Trust, please read their guidance document before applying. Nominations are reviewed bi-monthly by a board of trustees, deadlines for receipt of applications are 7th of February, April, June, August, October and December. The application process can take between two to four months. The funding is distributed quarterly with around £200,000 available every three months. Grants of up to £30,000 per year are available for one-off or medium terms projects. The Foundation prefers to fund equipment and capital costs. Outright funding for salaries will not be considered. Grants can be awarded for refurbishment and equipment, but not for capital appeals or new construction. The Foundation funds projects working towards accreditation or recognised qualifications for young people. This does not include teacher training. Preference is given to support training programmes working directly with the young people, where they will work towards an accreditation. Please note this is a 'highly competitive' fund. Last year the Foundation received requests of more than £2.7 million and awarded around £513,000, that is 19% of funds requested, with 79 Central Grants being given. Click here for more information about the DM Thomas Foundation for Young People Grants.